1. 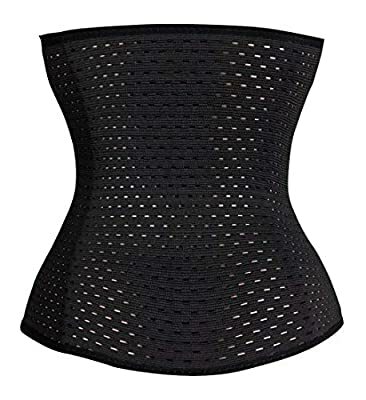 Breathable high quality steel bones waist trainer cincher. 2. Made of comfortable and personal skin-friendly material. 3. 3 hook-and-eye closures in the front make sure that this waist cincher could fit your figure at the most extent. 4 flexible and durable thin steel bones can prevent the garment from rolling up or down. 4. High compression, firm enough to hold in the tummy tissue. Flexible and stretchy for comfort of movement. 5. 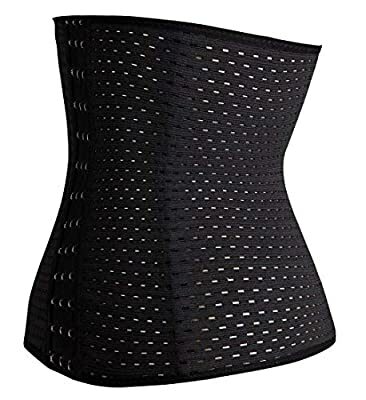 This waist trainer helps you burn your axunge, improve your posture and enhance your curves, which provides you unparallel midsection control. 6. Everbellus Waist Corsets are designed to be extremely versatile. 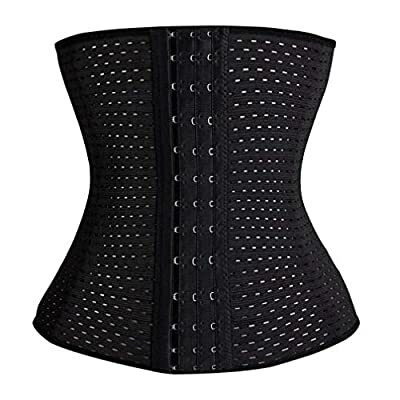 Perfect for waist training, using in the gym, daily wear or other formal occasions. 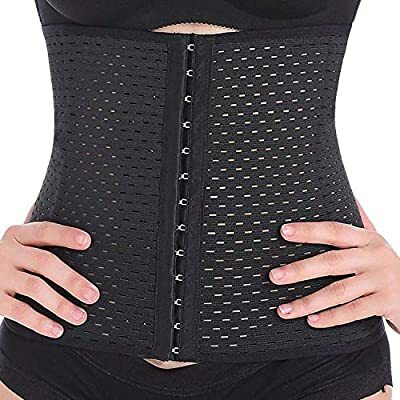 S/ Fit Natural Waist 24.5"-26.7"
M/ Fit Natural Waist 26.7"-29"
L/ Fit Natural Waist 29"-31.5"
XL/ Fit Natural Waist 31.5"-33.8"
2XL/ Fit Natural Waist 33.8"-36.2"
3XL/ Fit Natural Waist 36.2"-38.5"
Package included: 1 pc waist trainer + Everbellus's tag. Everbellus is a registered brand under trademark law protection. We offer high quality waist training corsets. Simple but fashion collections which shows your beauty and best shape. Please choose the size of our Letter in the images of the product if you actual size is between two size, we suggest you choose the smaller size. This latex waist talladora has strong elasticity 4 spiral steel bone, which is the fins material inside the corset, it's flexible and durable, as soft as plastic bones, can bend easily but recover quickly to origin. Our Trademark Registration Number is UK00003152548. We won't carry any responsibilities for order that purchased from other seller as they are infringed our trademark copyright. Please do not attempt to infringe our right otherwise legal action will be taken. Closure with 3 hook and eye in front make it suitable for your size perfectly. 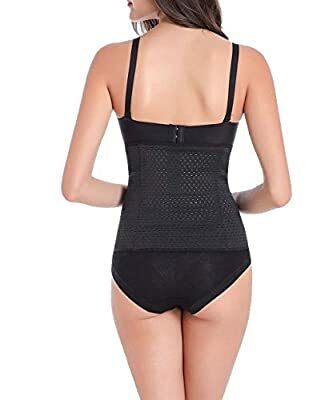 90% Polyester, 10% Elastane The pierced material is breathable so wearing this waist cincher is comfortable, wash by hand and dry in line.